One of the biggest disappointments that gamers have regarding Metal Gear Solid 5: Phantom Pain – and that’s usually something you find out after you complete the game – is that you lose Quiet as a buddy and you can’t use her in the game anymore. However, the good news is that if you are ready to sacrifice 100% completion of the game, you can still keep Quiet as a companion in MGS 5 – and we’re here to tell you exactly what you have to do! So let’s not waste a single second and let’s do this. 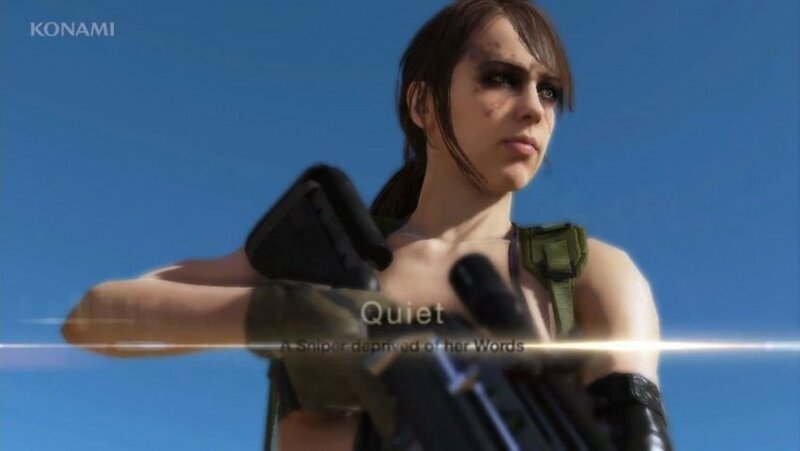 Because, well, everybody loves Quiet! 1. Keep the bond you have with her at 85% (some claim than anything under 100% works). This is not advisable if you can do option No. 2 because not having her at 100% locks out some of her abilities and it’s pretty difficult to maintain anyway. 2. Use the Butterfly (front) design in your emblem – but make sure you use it before completing mission 41 in the game. How to get the Butterfly Front design? This isn’t the easiest design to get, but it’s doable and since it allows you to keep Quiet in the game and not lose her forever, I’m sure it’s worth the trouble! You need to get the Codename Butterfly after completing any mission in the game – and this one is awarded if Quiet does the majority of the shooting in a mission. In theory, you only need one mission to get the Codename Butterfly award, but the game takes the previous three missions in account when deciding the results, so you might actually have to let her do most killing for three missions in a row! Also, make sure that during the last mission you get spotted at least once, otherwise you’ll get the Fox codename instead. 2. Make a backup of all files you’re about to modify! 5. Repack the .dat file using the QAR tool. If you are having trouble doing this, here’s a video guide of the whole thing! These would be the methods to keep Quiet in Metal Gear Solid 5: Phantom Pain. Have in mind that if you keep her, you can’t get 100% completion in the game. But I personally believe it’s worth it!